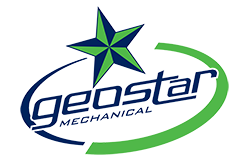 Geostar Mechanical specializes in Geothermal systems. Whether you need a new installation, repair or maintenance for your geo system, we can help. Serving all of Southern Michigan, including but not limited to: Schoolcraft, Hastings, Nashville, Three Rivers, Centreville, Galesburg, Ionia, Battle Creek, Marshall, Ada, Albion, Allegan, Allen, Alto, Athens, Augusta, Bangor, Bedford, Bellevue, Bloomingdale, Bradley, Breedsville, Bronson, Burlington, Burnips, Burr Oak, Byron Center, Caledonia, Cassopolis, Ceresco, Charlotte, Clarksville, Climax, Cloverdale, Coldwater, Colon, Comstock, Concord, Constantine, Decatur, Delton, Dimondale, Dorr, Dowling, Eagle, East Leroy, Eaton Rapids, Fennville, Freeport, Fulton, Gobles, Grand Junction, Grand Ledge, Grandville, Hamilton, Hanover, Hartford, Hickory Corners, Homer, Hopkins, Horton, Hudsonville, Jamestown, Jones, Jonesville, Kalamazoo, Kendall, Lacota, Lake Odessa, Lawrence, Lawton, Leonidas, Litchfield, Lowell, Marcellus, Martin, Mattawan, Mendon, Middleville, Moline, Mosherville, Mulliken, Nazareth, Nottawa, Olivet, Onondaga, Oshtemo, Otsego, Parma, Paw Paw, Plainwell, Portage, Portland, Potterville, Pullman, Quincy, Richland, Saranac, Scotts, Shelbyville, Sherwood, Spring Arbor, Springport, Sturgis, Sunfield, Tekonsha, Union City, Vandalia, Vermontville, Vicksburg, Wayland, White Pigeon, and Woodland.